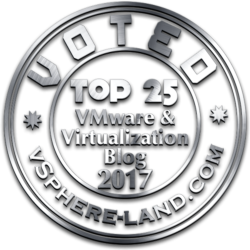 Note that this post has an updated version (Is the HTML5-based vSphere Client finally mature?) and become obsolete with the vSphere 6.7 Update 1 release where the client it’s finally complete. VMware vSphere, during its history and the different versions, has got several types of GUI clients. One of the most used (not the first, but the standard one since Virtual Infrastructure 3.0) was the vSphere Client for Windows. But on May 2016 VMware has announced that the Legacy C# Client (aka thick client, desktop client, or vSphere Client) will no longer be available with the vSphere 6.5 release, replaced by web-based clients. With VMware vSphere 6.5 there are mainly two different “Web Client”: the vSphere Web Client (based on Flash and introduced in vSphere 5.0) and the new HTML5-based vSphere Client (see also What’s New in vSphere 6.5: vCenter management clients). On August 2017, VMware has announced the plan to deprecate the Flash-based vSphere Web Client with the next numbered release (not update release) of vSphere, considering that also Adobe has announced plans to deprecate Flash. This will remove the boring dependency from Flash and the several issues that as caused (like the latest from a simple update). And finally, there will be only one major web client that will become (again) the vSphere Client! Of course, there are several other web clients, like the Host Client or the VAMI for the vCSA appliances, but for manage graphically your virtual infrastructure you will use just the vSphere (HTML5) Client. This client has started as a Flings project and is still available on Flings is you want to use also on vSphere 6.0 environments, or if you want the latest version. But with vCenter Server 6.5 Update 1d there is the third update of the HTML5 vSphere Client with a lot of new features, capabilities and more and more closest to the vSphere Web Client. vSphere 6.5 Update 1d was released in December 2017. 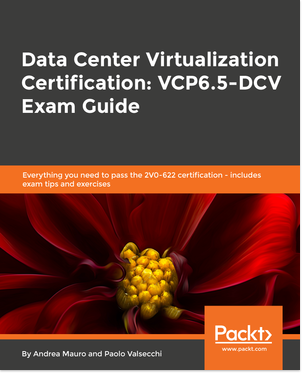 While this update primarily focused on security and package updates for vCenter Server and ESXi, it also came with an update to the HTML5 vSphere Client. More interesting is the list of the workflow functionality not (yet) supported in the vSphere Client (for a complete list of supported and not supported functions see this post). Of course, the list of functions depends on the version of the new client web. Initially wasn’t so rich. But on July 27th, 2017, VMware has released an updated version of vSphere version 6.5 Update 1 and in this update, the vCenter server HTML5 web interface was also updated. 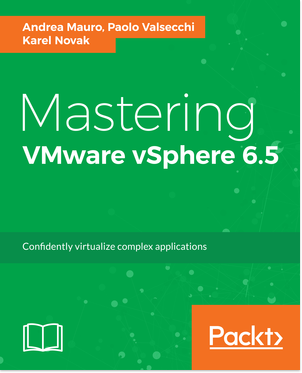 The update greatly enhanced the new HTML5 interface making it approximately 90% feature parity to the vSphere Web Client (according to VMware). 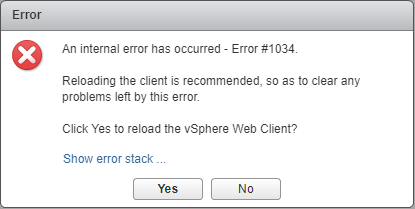 You have also to consider other VMware products, like for example VSAN cannot be (totally) managed and configured properly from the HTML5 Web Client (at least in this version). At least, NSX 6.4 now supports the HTML5 client. Anyway the best way it’s just testing this new client and verify if it’s usable or suitable for what you need and what type of operations you have to do. VMware says that more than 90% of the future is in the new web client, but honestly, they have to say more than 90% of the most common and most used functions. Note that on Flings there is a new version of the vSphere Client, with more features (like for distributed virtual switches). For vSphere operators the HTML5 Web Client could be used for the day to day tasks, but with some limitations, if you plan to deploy OVA/OVF (not all deployment works correctly with this client) or if you are managing a VSAN environment (for example you don’t have monitoring, or you can choose a storage policy, but you cannot create or see how it’s configured). Starting with vSphere 6.5 Update 1, they can then use the new HTML5 interface for most of their day-to-day administrative tasks for the most part. But for vSphere administrators probably the vSphere Web Client is the right GUI tools in order to have all the functions, but a good option could be moving to a scripting language like PowerCLI. Maybe, somebody, it’s asking why we need to interact directly with the vSphere layer, if there are so many automation tools that can simply hidden it and mange it for you? May be true for large enterprise, but for SMB environment the virtualization it’s both the management and control plane and there isn’t a cloud management tool over it… so you have to deal with vSphere manager. In the Mastering VMware vSphere 6.5 book, we have tried to use the (HTML5) vSphere Client as possible, but there are still too many functions not available or with a different behavior. And neither the latest version really help. And you have also to consider the different type of information that you can find across the different clients. For example, the memory used by the VMs is represented in different ways. In the cluster, the vSphere Web Client shows the Consumed Memory while DRS is actually using Active Memory. Active Memory can be seen by hovering over the individual memory consumption bars but there is an opportunity to improve this UX. That seems good, but at VM level you will have different data in memory utilization (for this reason) comparing the two clients (and also the Host UI). It’s also strange that the look&feel of the two HTML5 clients (vSphere Client and host UI) are quite different, with a different menu, and again different info… Wasn’t better incorporate host UI information inside the vSphere Client (of course when was possible and reasonable)? Why is the top bar on the HTML5 client so dark big? Am I the only who doesn’t like the large header?